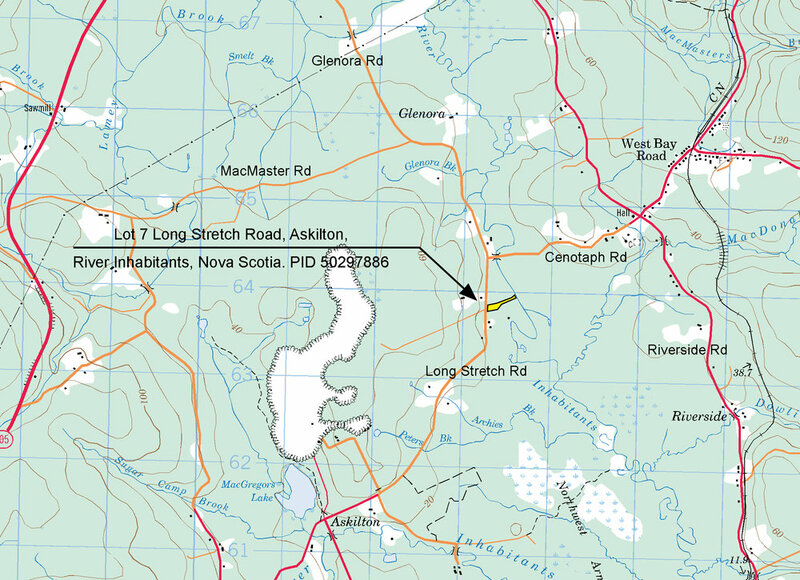 Location: Lot 7 Long Stretch Road, Inverness County, Nova Scotia, Canada. Looking North along River Inhabitants from your land. Looking South along River Inhabitants. You can canoe and kayak all the way down to the bridge at Cleveland and continue from there out to Highway 104 at Evanston and the Strait Regional Hospital. Here is a air photo showing the approximate boundary lines of your property. 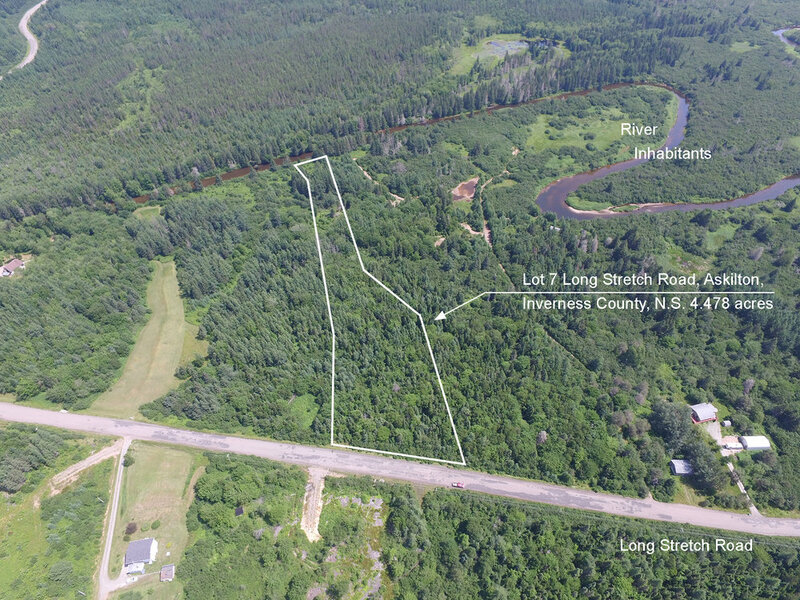 Another air photo from above Long Stretch Road showing the approximate boundary lines of your property. Here's a photo from the roadside of your property with 255 feet of road front. This picture was taken by roadside at the properties survey pin. Walking through your property from end to end. The property is nicely wooded in a mix of evergreen and hardwood trees. talking through a stand of hardwood trees further down your property as you approach the river. Your property has an area of open area down by the river. Small trees are beginning to grow in these areas. Wild blueberries are also growing here. A neighboring property just a few hundred feet north along Long Stretch Road that was cleared of trees and cleaned up to create a nice open grassy area. A neighboring property almost opposite your land along Long Stretch Road. Here is a topographic map indicating the location of your land in Askilton, near West Bay Centre, Riverside and Glenora. 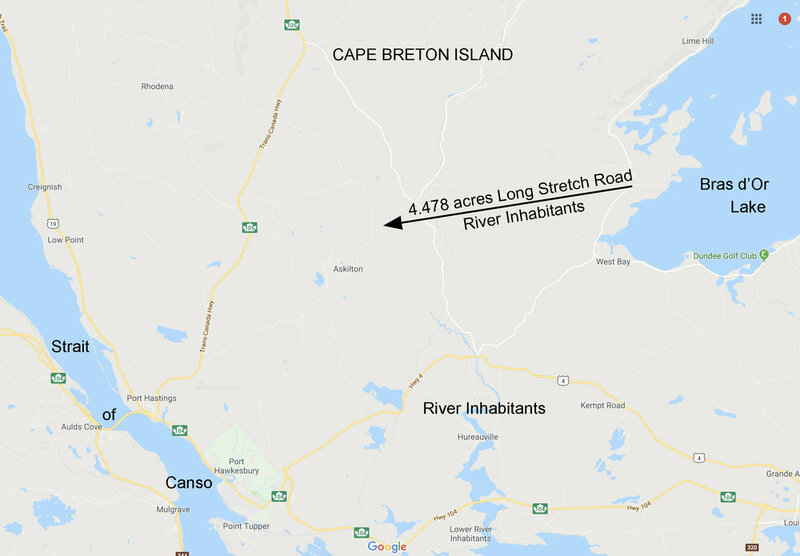 Map of the area showing the location of your property in Cape Breton. A map of Nova Scotia indicating the location of your property (green dot). 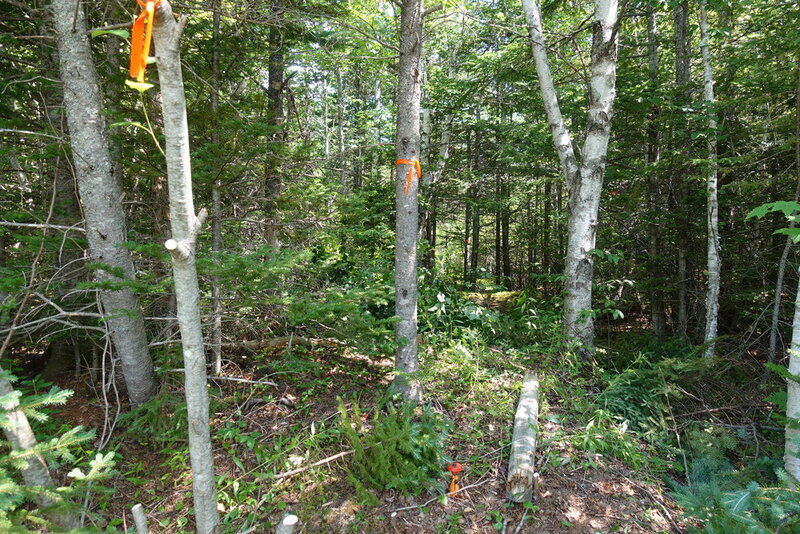 Land situated at Long Stretch Road, Askilton, in the County of Inverness, Cape Breton, Nova Scotia. Being Lot 7 on Plan # 85323062. - 145 feet waterfront along River Inhabitants. - 255 feet of road front. 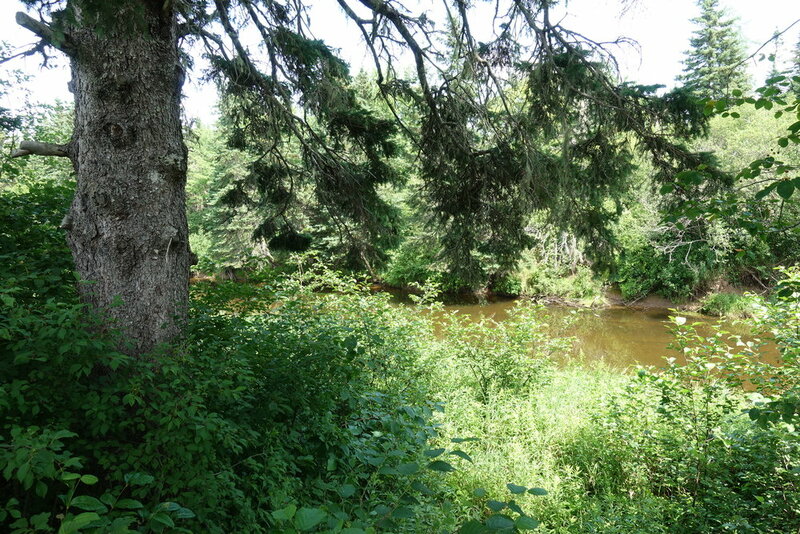 - A very private and gently sloping lot from roadside to the river. 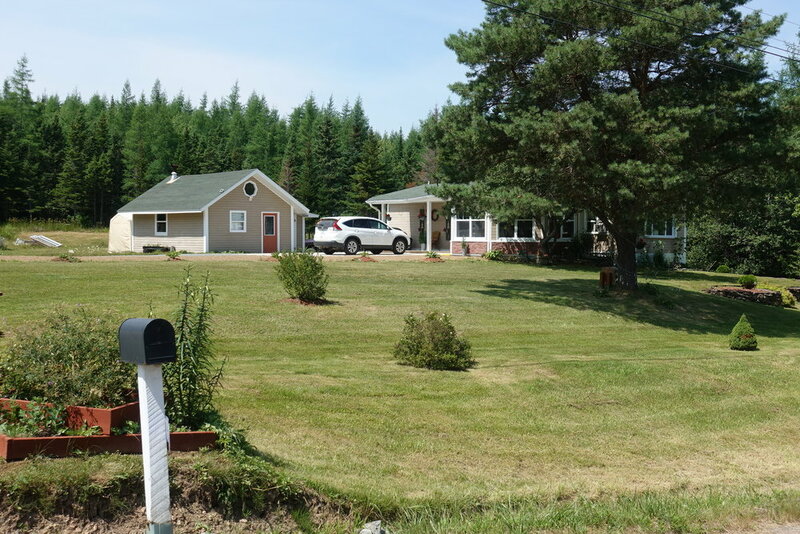 - Rural location yet close to town and amenities. 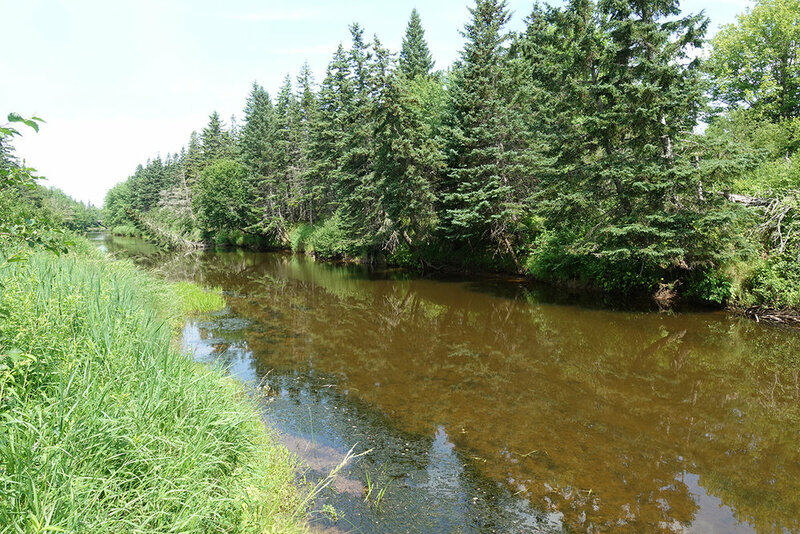 - Dream location for any the outdoor and fishing enthusiast. - Canoeing and kayaking along the River Inhabitants. - No covenants or requirements to build. - Low ownership costs and no maintenance costs. - Year-round access via paved roads. - Friendly neighborhood and nice neighboring homes. 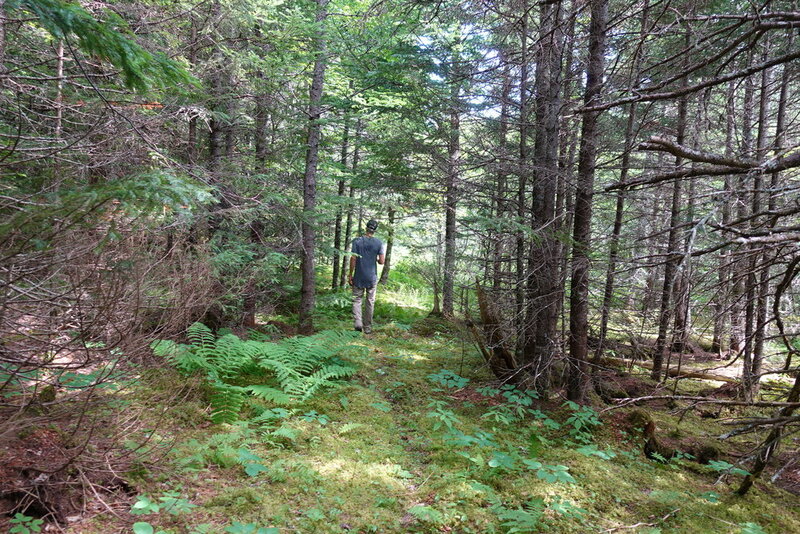 - 20 minutes from Town of Port Hawkesbury. 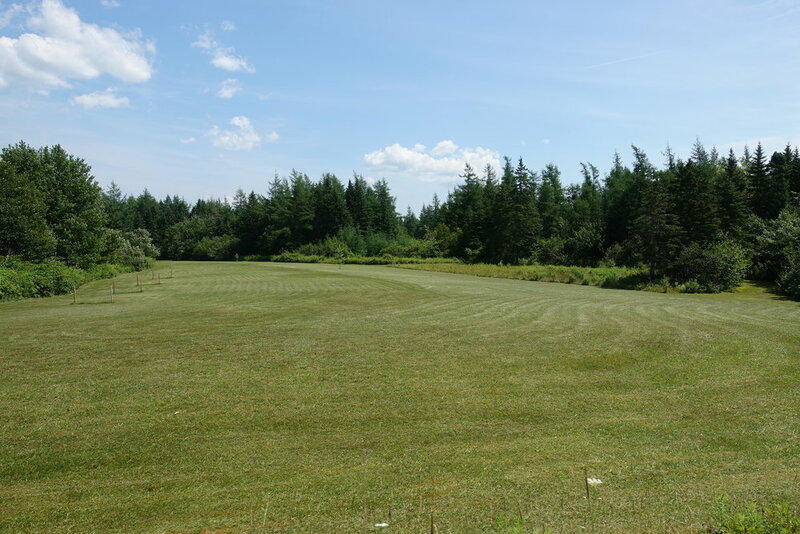 - Less than 20 minutes to several beaches, boat launches on the famed Bras d’Or Lakes as well as Dundee Resort and Golf Club. - Minutes from the small community of West Bay Road and Post Office, Fire Hall. 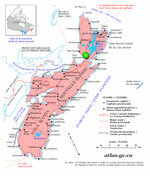 - Within easy reach of the Cabot Trail, Ocean beaches, Golf and many Cape Breton attractions. - One hour from top ranked golf courses in Inverness. 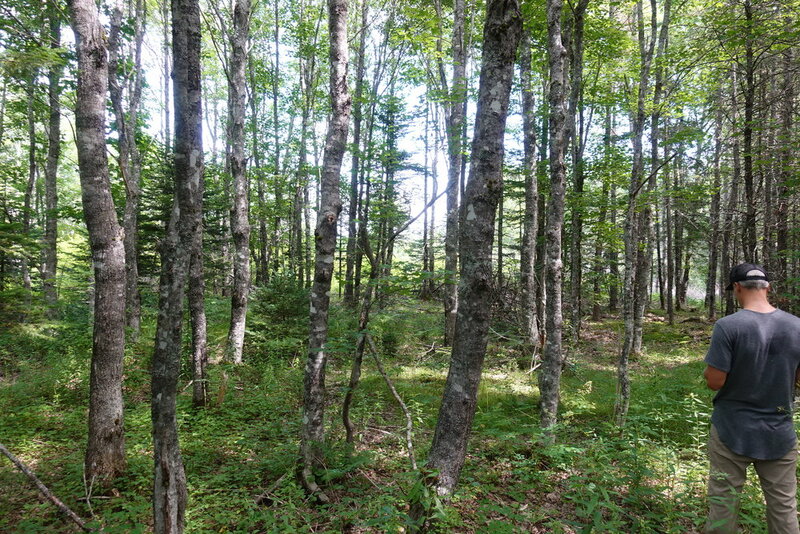 A lovely parcel of land in beautiful Cape Breton Island, Nova Scotia. 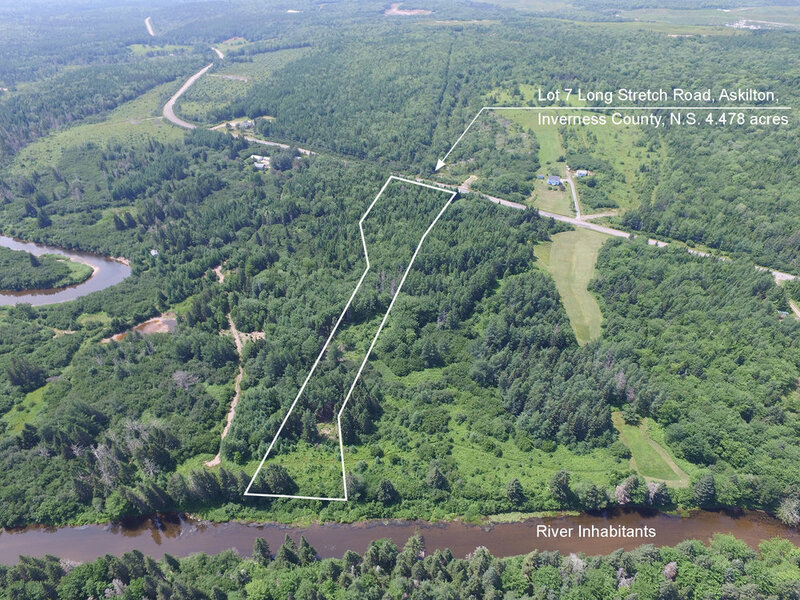 This 4.478 acre property boasts 145 feet of river front on River Inhabitants. 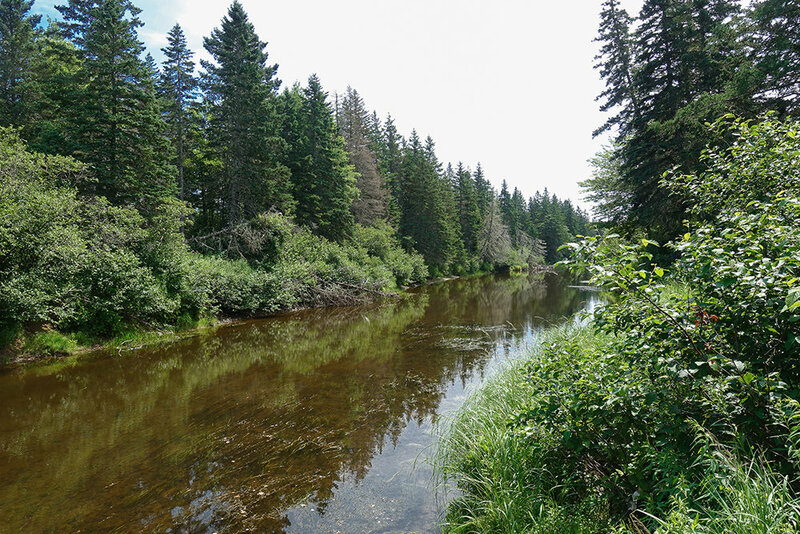 A long tidal river originating in the hills of Creignish and Kingsville and meandering South through many communities, passing farmlands, woodlands and recreational properties and eventually out to Whiteside Basin, Chedabucto Bay and the Atlantic Ocean. 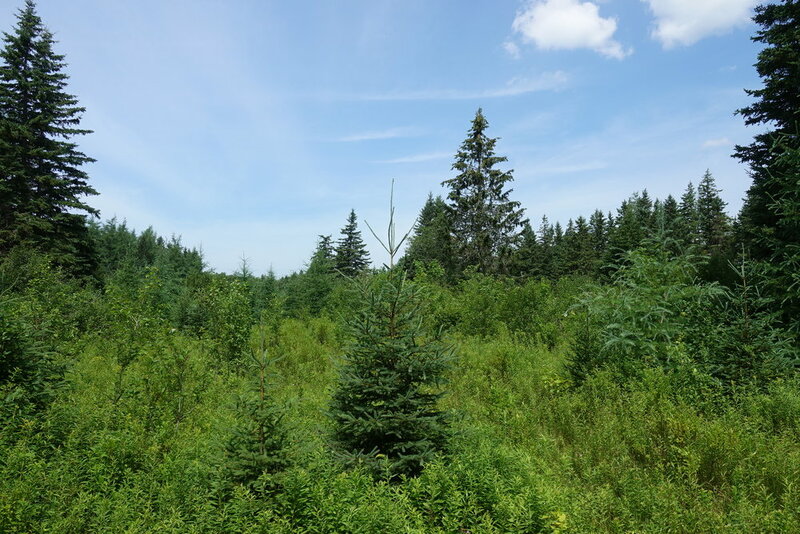 Vegetation of the land is a mix of hardwood and softwood tree varieties – spruce, fir, pine, maple, birch, poplar. Topography of your land is gently sloping from roadside down to River Inhabitants and the ground is good. 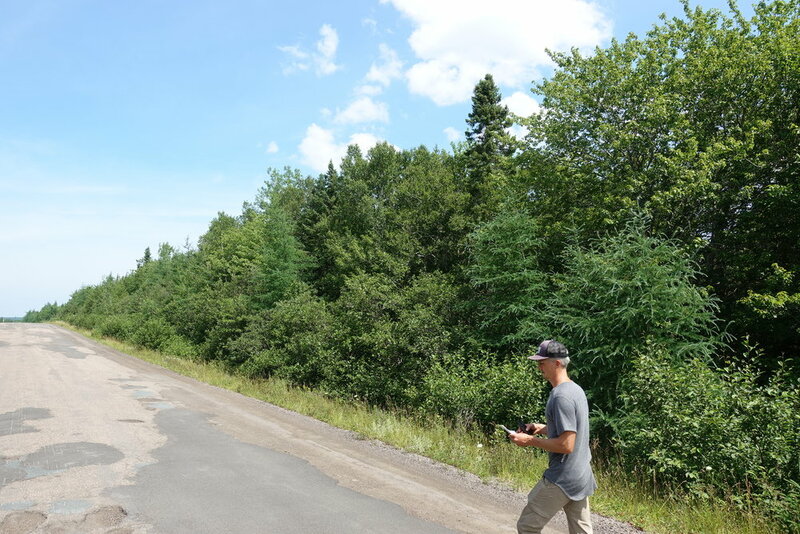 Your property measures 1104.22 feet along the northern boundary, 145 feet following the course of River Inhabitants, 1268.02 feet along the southern boundary and 255 feet along the eastern boundary of Long Stretch Road (refer to survey plan in photo gallery). Your land is surrounded by wooded forestland, picturesque dairy farms and open hay fields, well maintained homes of local residents and seasonal visitors from across North America and Europe. This country setting is lightly settled and yet you are within easy reach of town and all amenities. Have your canoe or kayak down by the shoreline, ready to explore the River Inhabitants – upstream towards the hills of Creignish and Kingsville, and downstream through the communities of Cleveland, Hureauville and Evanston, and out to Whiteside Basin (Atlantic Ocean waters). This LOT is SOLD. To view more properties similar to this, visit our Nova Scotia property list, here.